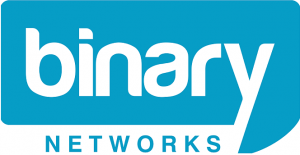 Binary Networks will provide you with a monthly bill for your phone or internet services (unless you have an annual subscription or other arrangement). It is important to know that your usage allowance is the amount of data that you are allowed to transfer over the Internet. This may include transferring data as download (from other computers to yours) or transferring data as upload (from your computer to others). You have a right to complain, and if you do we will deal with your complaint in a fair, efficient, objective manner and through a transparent process. We strive to solve any problems you may have during your first contact with us. This article will give you a rundown of the different types of contacts that may be authorised on an Binary Networks account, and what they can do. Melbourne based company providing all business telecommunication needs. Products and services include; Hosted PBX, SIP Trunks, VoIP Systems and Handsets, ADSL2+, Fibre, EFM, PSTN, NBN, Hosting and all Networking Equipment.